Have your students create reports and presentations that cover all subject areas using PowerPoint. The use of PowerPoint will extend their technology skills and extend their learning and interest. Our resources give great ideas for projects in various subjects such as Language Arts, Social Studies, and Science. 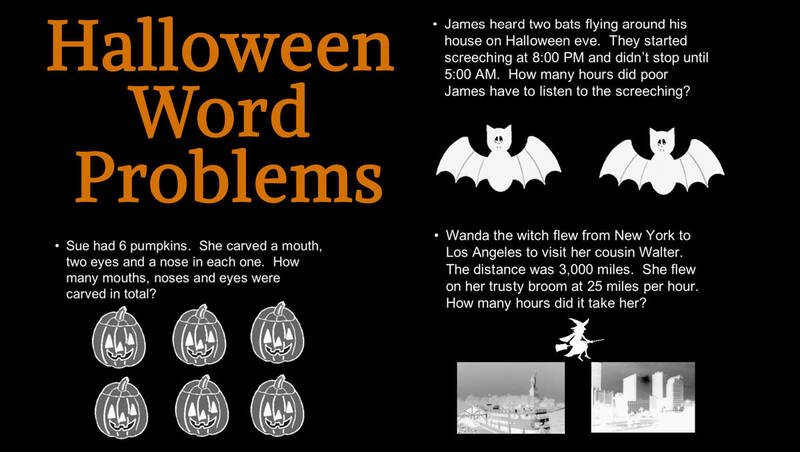 For this printable PowerPoint project, students create slides of Halloween word problems for their peers to solve. They should base their word problems on familiar math concepts. For this PowerPoint project, students write alliterative sentences, type them on slides, and illustrate their work with clip art and digital images. Students create a slide show about their lives using PowerPoint. Various features of the program are explored in this printable computer activity. Students learn the basics of an organization chart in this printable PowerPoint activity on family trees. Students use PowerPoint or AppleWorks to draw and illustrate a time line of major events in their lives. In this printable computer activity, students research insects on the Internet and use PowerPoint or AppleWorks to create fact boxes with clip art.